Scarborough, ME - James Scanlon "Jim" Bihm, Sr., 80, of Falmouth, passed away peacefully Friday, September 21, 2018 surrounded by his loving family after a long battle with cancer at the Gosnell Memorial Hospice House in Scarborough. Jim was born at home in Portland on December 8, 1937; son of Elzia and Dorothy Blake Bihm. 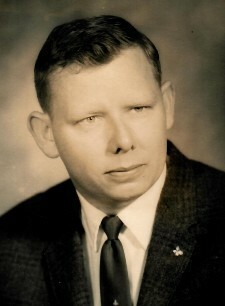 He attended Portland schools and graduated Portland High class of 1955. There he met Kathleen McCorrison and they were married in 1957. Twelve years later they welcomed their son James, Jr. He served 9 years in the National Guard. Jim was in auto dealerships for 42 years. Working for Chaplin Cadillac Olds, Bill Dodge and Lee Auto as parts manager. He loved spending time working outside on the lawn and playing with his dogs, Rocky and Sissy. Survived by his wife of 61 years, Kathleen, son James and fiancé Kimberly Ingalls, sister Shirley (Bihm) Boyle, brother-in-law Elbridge Boyle, Sr., and nieces and nephews. A Celebration of Life will be held, September 28, 2018 from 4 to 7 p.m. at American Legion Ralph D. Caldwell Falmouth Memorial Post #164, Depot Rd. in Falmouth.